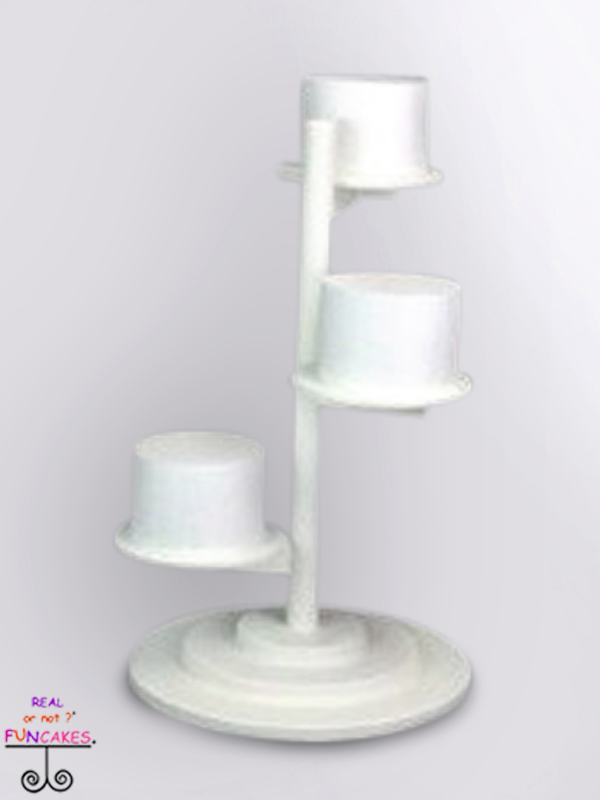 The Roberta Cake Stand is a custom design cake stand by FunCakes. Hand crafted from wood with a three tiers to hold cakes or cupcakes. Perfect for a sweet table to add some elevated height. Painted in a lovely cream color that matches white fondant perfectly.